It is our pleasure to welcome to the blog Petra Kuppers, author of The Road Under the Bay and River Crossing in TFF, and of Playa Song, part of our disability-themed anthology Accessing the Future. We asked Petra to tell us more about her work as disability activist and performance artist, and about her new publication Ice Bar; a collection of short stories on disability, LGBTQ experiences and the future; pain, myths and the body; climate change, access, and non-realist embodied and enminded difference in science fiction, fantasy, horror and literary work. 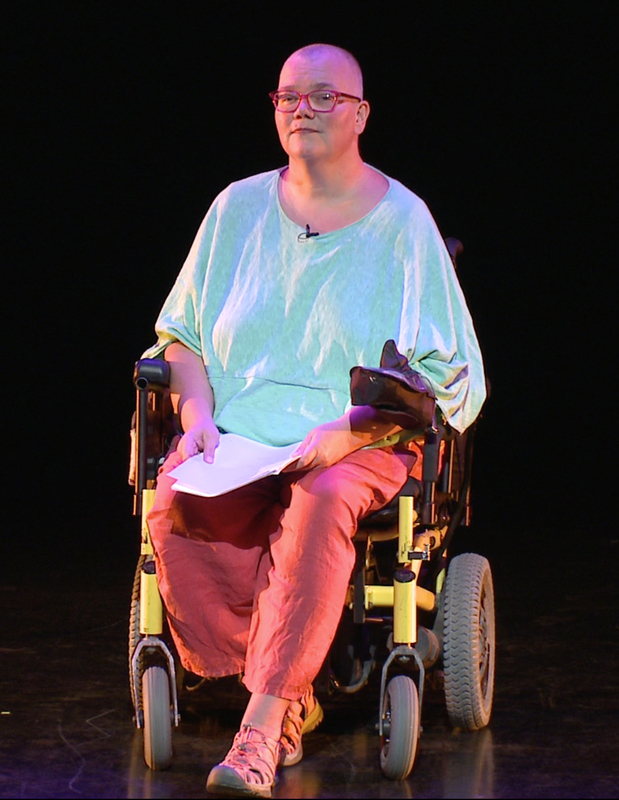 Petra Kuppers, an internationally active disability scholar and artist, is a recipient of the American Society for Theatre Research’s best dance/theatre book award, and the NationalWomen’s Caucus for the Arts’ Award for Arts and Activism. She received nominations for a Pushcart (from the Dunes Review) and for the Best of the Net Anthology (from Anomaly/Drunken Boat). Petra is a Professor of Performance Studies in the University of Michigan’s English and Women’s Studies Departments, and she teaches on the MFA in Interdisciplinary Arts at Goddard College. She’s a disability culture activist, a wheelchair dancer, and a community performance artist. TFF: You are a professor of Performance Art and part of a performance and dance collective. Movement seems to be something very important in your life. How did it start? Petra Kuppers: I think the fact that my love of movement has lasted into adulthood has to do with being a disabled woman of size who loves to move and be in her body! If everybody around you tells you, “this is not for you,” it’s quite easy to go all contrary and make that something the center of your life. That’s certainly the case with me. I remember being in my late teens in Germany, in hospital, waking up from one of my knee operations. The doctor told me “I am sorry, but you won’t dance again.” Maybe that doctor was doing me a weird kind of favor, offering me a challenge I could not resist. 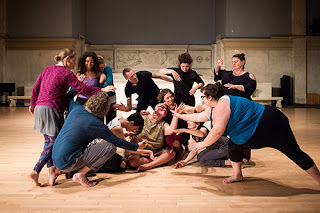 I continued to dance, explored Contact Improvisation, Butoh, Laban Creative Movement, and many somatic modalities. These days, I dance in a different form: five-minute dances, little engagements with specific environments, which then lead to dances with words. I often free-write after movement, and these little site-specific movement/writing nuggets become the seed of a story. That’s the way most Ice Bar stories were born. Site-specificity is still central to most of the stories: sitting on a wheelchair ramp in Grand Rapids, Michigan, by the Rio Grande in New Mexico, or on a barrier island in Georgia. TFF: Do you think that performing on stage holds a particular value for people belonging to minorities and marginalised communities? PK: Yes. On stages, we can show ourselves as well as the wider world our own beauty, pain and depth. I am mainly a street/park performer, which means that I work with fellow disabled people in public environments rather than on stages and in galleries. So few disabled people have (cultural) access to those spaces. Having fun while disabled in public feels like a very powerful way of shifting stereotypes around disability. The same is true with fiction: disabled authors tend to write about everyday life differently from someone ‘imagining’ what it would be like to be disabled. Non-disabled people often make a particular disability (and often its cure) a major plot point. Few disabled writers do that in the same way… for most of us, disability is part of our make-up, not the central feature of it. We can get on with character and plot development in a different way, if we are not caged in by non-disabled stereotypes. We can have fun… in stories as well as on stages. TFF: Reading praise for your upcoming collection Ice Bar, I was fascinated by the adjectives used to describe your style: “gemlike”, “psychedelically nightmarish”, “gritty”, “fabulist” and many more. What is the most unexpected description of your writing that you have come across? PK: What an excellent (as unexpected) question! One of my readers wrote in an Amazon review about me being ‘an explorer.’ That seemed a fabulous and surprising way of thinking about what I am doing in Ice Bar: I write as an ethnographer of disability culture, approaching new forms (poetry/performance/dance/fiction) all the time in my ongoing journey to chart cultural ways of understanding difference…with ’disability’ being just one of these borderzones of difference. TFF: In all three of your Ice Bar stories originally published by TFF, water seems to become a space for transition, either into other places or into other identities and states of mind. Many of the stories in your anthology also explicitly reference to water—what makes this such an interesting and flexible narrative setting? PK: This goes back to being a disabled woman. I live with pain and fatigue, and water is my dancerly medium. That’s where I can move, can shift my heavy body easily, can gyrate and twist in the ways I want. It’s my science fiction fantasy of low gravity! When I was a little one, my mother, who also had a pain-related disability, would go to thermal springs to help her pain, and I have inherited that habit. I will travel far for a good warm mineral soak for my aching bones. During the writing of the Ice Bar stories, a different kind of water pain was also with me: the protest actions around the oil pipelines, water protectors, in particular the indigenous women who walked the rivers and reminded all of us of our dependence and love for life-giving water. Each day I wrote Ice Bar, I checked in with their news stories and Facebook pages, and joined the protests in my own way. TFF: The stories in Ice Bar seem to explore a larger than usual range of genres. Was that a deliberate experiment or did you just follow your multiform literary inspiration? PK: It was deliberate. I love reading horror and dark fantasy, but it’s sometimes hard to be a feminist and queer woman and do that with real enjoyment. 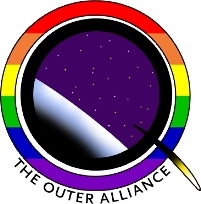 So I looked to feminist, queer, solarpunk, afrofuturist and other inspirations, and wrote myself into the interstices of genres, from cli-fi to science fiction and fairy tale retelling, from fabulist erotics to contemporary myth-making. All slippery genres which I approached from social justice perspectives. One of the books I had with me a lot during the writing of Ice Bar was Octavia’s Brood—that’s the kind of meta-genre and community work that inspired me. Thank you Petra for being our guest. 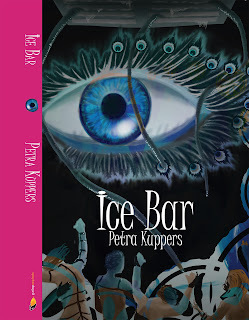 We wish you the best of luck and we look forward to read all the stories in Ice bar!